Cantus Index is a catalogue of chant texts and melodies for Office and Mass. Multiple online medieval music databases have been connected together through unique "Cantus ID numbers". Chant texts and melodies can be searched on this Cantus Index website, and matches in any of the partner databases will be returned. This is your first stop for online chant searches! 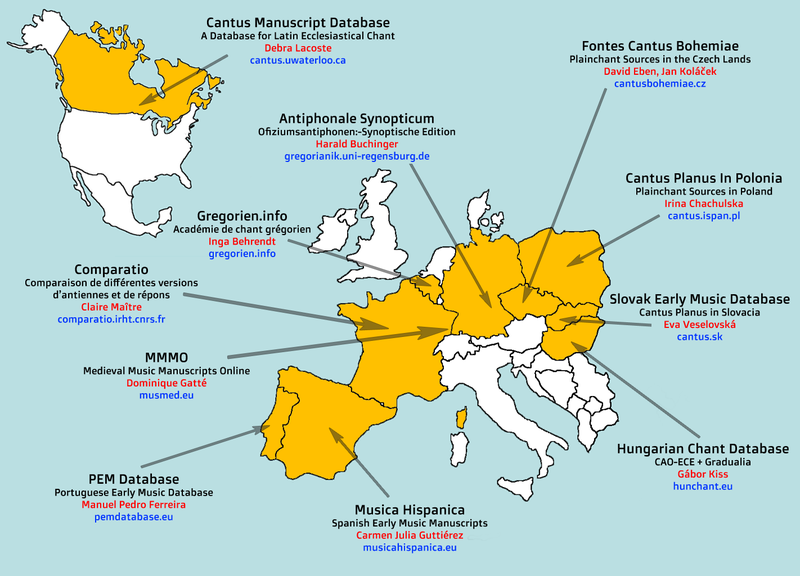 Access to the database is free, in accordance with the aims of the International Musicological Society’s Study Group Cantus Planus, which include the exchange of data in electronic form.